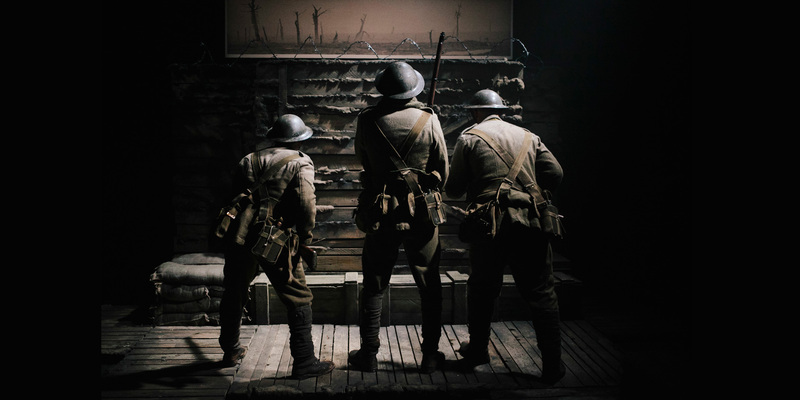 Focusing on three young soldiers serving with the Durham Light Infantry in 1917, this play is about growing up and the humanising power of music. It's November 1917 and the Battle of Passchendaele is lurching towards its bloody conclusion. Young soldiers Will, Robbie and Jumbo are thrust into a landscape starkly different to the playing fields and estates of their Sunderland home. Inspired by their childhood oath, 'nee killing, anly singing', Robbie dreams that music will be their ticket away from the front. But attracting the attention of their commanding officers may prove more dangerous than bullets and gas. Commissioned and produced by Theatre Centre, the play was written by Jesse Briton to mark the centenary of the First World War. Please note: This show is not suitable for children under 12 years old.